Call it what you will: turning over a new leaf, starting a new chapter, a blank page, new beginnings. Even if you are happy with your life as is (and I sincerely hope you are! 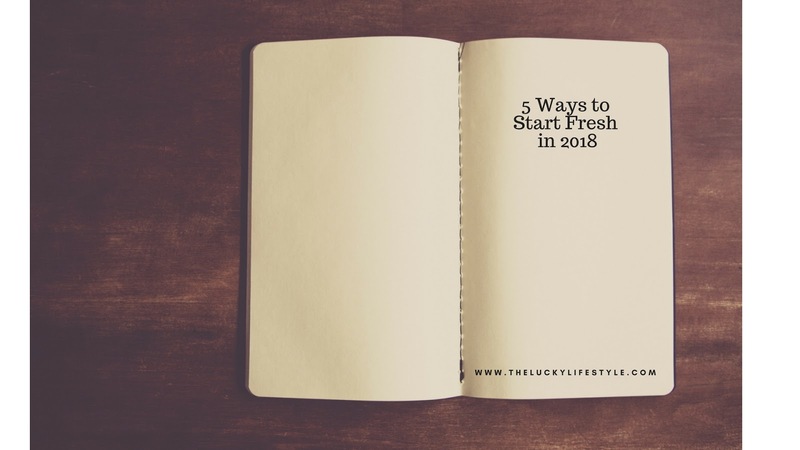 ), who doesn't love a fresh start? 1. Allow yourself to evolve. Ooooh, I love this one. This is the year to give yourself permission to change. Maybe you've already changed and you just haven't allowed yourself to accept it yet. What do I mean by "change?" Perhaps your goals have shifted, or you've reprioritized your life. Maybe your career aspirations have taken a sharp turn. You could have looked around and decided your relationships needed an edit -- your needs as a friend or spouse may have changed. Maybe your personal style has simply changed. Whatever it is, this is the year to tell yourself that it is not only okay to evolve, it is necessary. Some changes will be small and some will be big, but if they feel right in the depths of who you are, it's time to stop holding yourself back from a better life. 2. Allow others to evolve. Did you see this one coming? This was a tough one for me to learn and accept. One of my favorite quotes goes something like this: "We tend to want others to stay the same while we give ourselves the grace to evolve." If you are allowing yourself to grow and change, you must do the same for others. Acknowledging that the important people in our life won't remain the same forever, that they are also human and will evolve over time, is the most freeing realization in the world. Once you accept this, you can assess and embrace your relationship with others in a whole new way. 3. Speak kindly to yourself. You'd be surprised at how often you're kind of a jerk to yourself. "Ugh, you shouldn't have eaten that." "Why can't you look like her?" "I need to get it together. My life is so disorganized." Would you speak this way to anyone else? A stranger? Your best friend? No, you probably wouldn't. So don't speak that way to yourself. Nobody is perfect. Be kind to yourself because you set the tone for how others treat you, and your inner voice narrates your life. Do you want it to be negative or positive? 4. End every day by mentally listing what/who you're thankful for. When your head hits the pillow, instead of thinking of all the things you still need to do or accomplish the next day, what went wrong that day, etc., try re-focusing your brain on saying thanks for all of the great people and parts of your life. Do it list style: Thank you for my daughters and their health, they bring me so much joy. Thank you for my husband who always finds a way to make me laugh. Thank you for my extended family who keeps fun and tradition alive. Thank you for... you get the idea. I find it always helps me fall asleep and ends the day on a peaceful, grateful note. 5. Embrace simplicity. I'm reading through A Simplified Life by Emily Ley right now and have been trying to work on each chapter at a time. I love the idea of embracing simplicity as it applies to real life -- and real life is anything but simple. But we can take control of certain areas of our life and simplify them in a non-extreme way, and those small changes add up to a big overall impact. Do you already do some of these things? 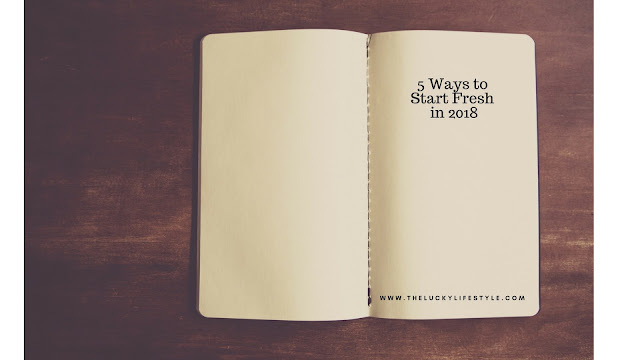 What are some ways you plan to better yourself and your life in the new year?